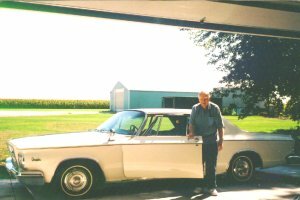 The car shown in these pictures was ordered on February 26, 1964 and delivered on March 10, 1964 at Hummel Brothers Chrysler Dealership in Des Moines, Iowa by my Father Earl "Duke" Holst. The exterior color was called "Persian White", and the interior is Black Vinyl. 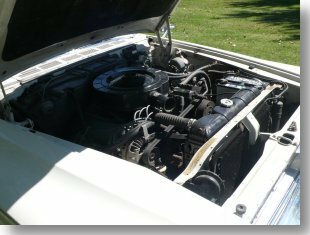 The car has the 413 ci Wedge engine, with the "727" Torqueflite Transmission, with a single 4 bbl Carter High Performance Carburetor. 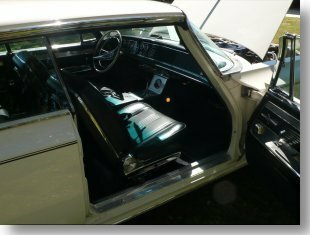 Accessories included A/C, Special Suspension, "Auto Pilot" Cruise Control, Deluxe Radio (AM only), "Blue Streak" Tires, Dual Exhaust and all of the Special Trim Logo designed for the 1964 300K automobile. The car was driven only during warm weather on nice days, and never in the winter in Iowa. After my "Dad" stopped driving he offered the car to me, and I readily accepted. The car stayed in storage for a few years, and 6 years ago I began a step by step restoration back to the "Original Condition". Now the car is nearly like new and only has 54,000 original miles. It is a real pleasure to drive, and is one of the nicer "Original Condition" 1964 "300K" cars left in the country. 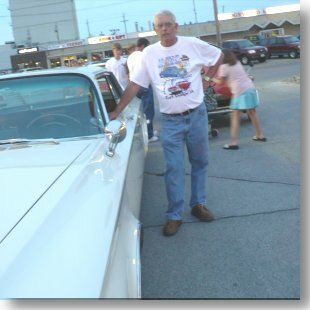 My Dad... Earl "Duke" Holst, the original owner. 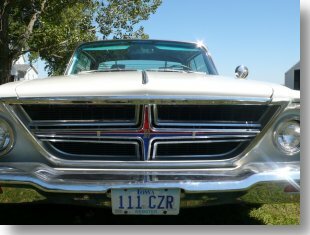 With the development of its hemispherical head V8 engine, Chrysler had a top performer in the early 1950s. Chrysler engineers perfected the 331cu. in. "HEMI" and proved its race worthiness in Europe at LeMans. Also in these years they hired a new stylist, Virgil Exner, who radically redesigned the entire Chrysler line and created what they called "The Forward Look" in 1955. His designs were simple, but strong - without much chrome on the sides. He created the illusion of fast, forward movement. It was 1955 that the first Chrysler 300 (C-300) was offered. It had Exner's distinctive styling and the 331 HEMI. It was called 300 because with the Carter 4 barrel carburetors, solid lifter camshaft, and a larger-than-usual exhaust, the engine generated 300 horsepower. It was the first modern American production engine to do so. The car had some other distinctive features: it had extra firm suspension, which allowed it to be lower and to corner far better than most cars; and it was very luxurious inside. 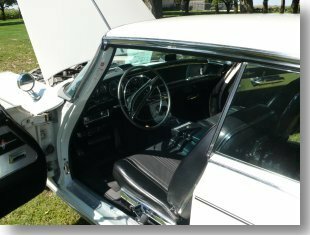 Leather upholstery, PowerFlite transmission, well designed instrumentation, and high performance made the C-300 the "gentleman's fast car". And fast it was. Tim Flock raced the C-300 at Daytona in 1955, winning both on the road course and the flying mile. The 1956 model, now designated the 300B, won both events that year as well. In fact, the 300s dominated NASCAR tracks in 1955 and 1956, taking the overall championship both years. Those triumphs created the legend. The 1957 300C did not compete in NASCAR track events, but with its 375 HP HEMI engine, again won the Daytona Beach flying mile, making the Chrysler 300 the fastest American car for the third straight year. Simple strong lines, excellent engineering, a high level of luxury, and outstanding performance made the "letter cars" the most desirable of the Chrysler line. They became known as "the Beautiful Brutes". 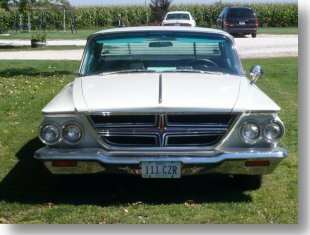 In 1959, Chrysler replaced the 392 HEMI head engine with a 413 cu. in. wedge head design. For 1960, this wedge style engine was equipped with the unique and exotic cross ram induction system. This new arrangement provided higher torque at lower speeds, in addition to substantial high speed power. 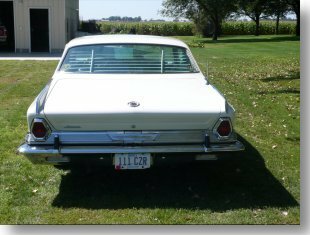 During 1960, Chrysler made some 9 or 10 300F "Specials" (four still exist) with 400 HP engines. Six of these captured the first six places at the Daytona flying mile event, reaching speeds in the 140 to 145 mph range. 300F Specials are among the most valuable of all post-war collectable cars. 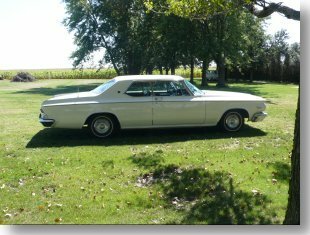 The Chrysler 300 Letter Cars continued to use the 413 wedge engine for the remaining years in which they were produced, through the 300L model of 1965. They were still the "Banker's Hotrod". 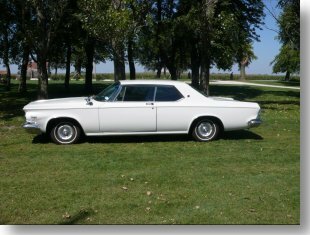 In 1962, Chrysler offered a 300 Sport series in addition to the 300H. This 300 series was priced and equipped between the Newport and New Yorker. The 300 designation and its similar appearance allowed it to assume some of the letter car mystique without letter car performance or price tag. The non-letter series continued through 1971. In 1970 a special non-letter 300, the Chrysler 300 Hurst, was produced. This car was assembled by Chrysler and refined by the Hurst company with special striping and two-tone paint treatment, deck lid spoiler, wheels, and the like to approximate the panache of the 300 letter car. In 1979, Chrysler produced its final non-letter special 300, the 300 Special Edition. This car was only available in white with a red leather interior and was based on the Cordoba. There were 14,268 hardtops and 2,588 convertibles of the 300 letter cars produced, not large volume for 11 years of production. The cars were offered in limited colors and only in two door hardtops or convertibles. And 1955, '56 and '63 were years when convertibles were not offered. From '56-'58, and '60 and '61 the letter cars could be ordered with standard transmission, but this was rare. But each year saw the engineering and performance of these cars improve. Chrysler had a great engineering tradition that is evident in this top end automobile that some think of as the "Duesenburg of the 1950s". 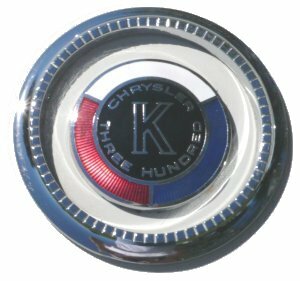 For auto enthusiasts, the Chrysler 300 letter cars are an interesting and valuable marque. Initially they were Chrysler's entrant on the racetrack. And Chrysler used the 300 technology in its Dodges and Plymouths that did run NASCAR into the 1970s. But the Chrysler 300 had another audience, those buyers who desired a big, fast, well-engineered automobile that was as distinctive and pleasing to see as it was to drive. Copyright © jholst.net, all rights reserved.